Our Psychics are gentle, compassionate, and nonjudgmental. Also, please know your fate isn’t set in stone — so if we see you heading towards an undesirable future, we’ll give you tools to avoid this! A reading should be interactive — with the Psychic doing most of the talking. That said, please try not to interrupt us while we’re sharing an insight. 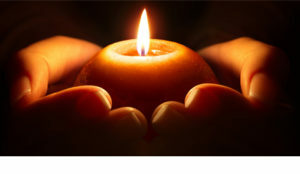 For most Psychics, connection with Spirit is delicate, and any interruption could cause important messages to be lost. Please know, our Psychics will always give you a chance to ask questions. So please be patient. From time-to-time, a Psychic might ask for clarification — but a good Psychic will never ask too many questions. Also, please let your Psychic know when their insights are accurate. If you approach us with your arms folded, a dead stare and complete silence, you won’t get a good reading. Finally, if an insight doesn’t resonate, please speak up! The ensuing conversation could be VERY profound! Before seeing a Psychic, try to come up with a few specific questions. Most clients ask about love, career, family, and finances. But we’ll explore anything that’s important to you. At the Psychic Brunch, each reading is 15-minutes — which is enough time to answer one or two questions. 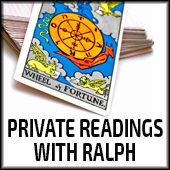 If you’re booking a one-hour private session with Ralph, he’ll have time to answer several questions. When coming up with questions, try to focus on areas that are confusing, unresolved or uncertain. Unfortunately, we can’t offer investment, legal or medical advice. Also, probing the personal life of an ex wouldn’t be ethical. 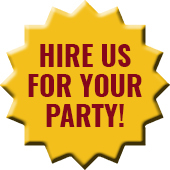 We can provide “general” readings, but specific questions will garner MUCH better results. Walk-in appointments are welcome at the Psychic Brunch, but it’s best to book your Psychics in advance. Please arrive 15-minute before your first appointment and speak with Jeff — who’ll collect the balance of your $42 fee (please have exact change). From there, grab a seat in the dining area and wait Jeff to bring you to your Psychic’s table. Please be patient if we fall a bit behind schedule. If you have enough time before your first reading, feel free to use your $5 Brunch Voucher and grab a bite. But it’s usually best to eat after your readings.